Using a new foamed dielectric material, "MICRO-CELL" Cellular coaxial cable is a light weight, high temperature, coaxial cable with a high strength, fluid resistance and long term aging reliability. This makes it the first cellular coaxial suitable for extensive high temperature use in aircraft and other critical applications. The dielectric material is FEP, a fluorocarbon resin used in solid form for nearly a decade in demanding applications where high temperatures, fluid compatibility, long life and low loss were of prime consideration. Because of its unusual characteristics, solid FEP has been used in spite of substantial weight penalties. Now a proprietary uni-cellular FEP foaming process developed by Texcal-LLC retains these significant properties and eliminates the weight penalty. 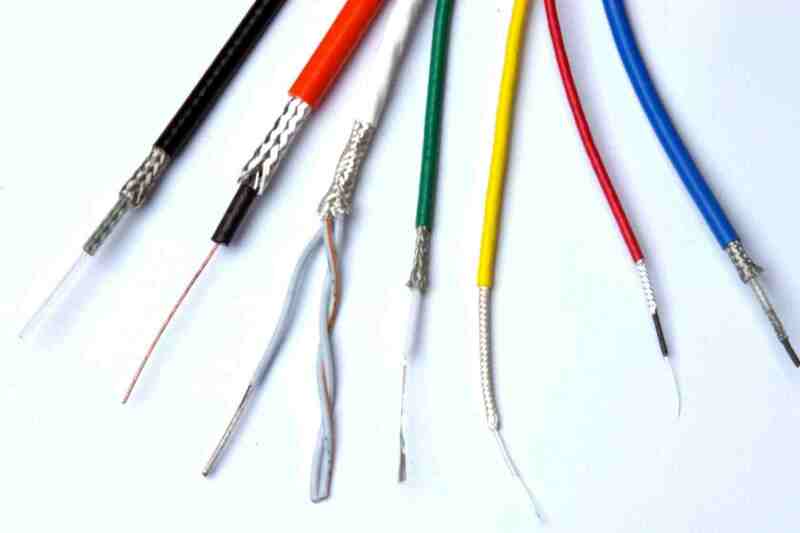 The weight of the insulation is reduced by up to 50 percent, compared to conventional RF types of coaxial cable. The result is a closed foam material composed of small individual cells of inert gas, which occupy up to one-half the total volume of the dielectric. This lowers the dielectric's specific gravity, producing a lighter weight cable or allowing a cable with a larger, stronger center conductor for the same total weight. The foamed "MICRO-CELL" coaxial cable has a low dielectric constant -1.6, compared to 2.0 for solid FEP. This gives "MICRO-CELL" coaxial cable lower capacitance, lower attenuation, and higher impedance. And the dielectric constant is virtually constant over wide variations of temperature and frequency. The foamed dielectric used in "MICRO-CELL" coaxial cable is also a significant improvement over previously used foamed materials. "MICRO-CELL" coaxial cable is mechanically stronger. No more crushed dielectric from simple finger pressure, or broken center conductors when cable is routed around corners. Gone are problems with drifting center conductors caused by dielectric weakness. Reduced, virtually eliminated, is melted dielectric from soldering attempts; the high temperature characteristics of cellular FEP will withstand soldering.